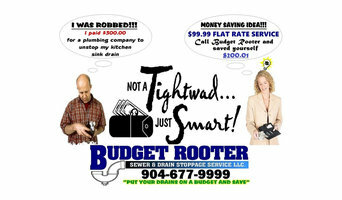 WE ARE A RESIDENTIAL DRAIN CLEANING / ROOTER SERVICE. WE OFFER OUR SERVICE AT A FLAT RATE OF $59;99 UNTO OUR V.I.P MEMBERS. FOR MEMBERSHIP GO TO 9999.DRAINS.COM . Experience and training make the difference. The Turner Team has over 150 YEARS combined experience with Turner Plumbing and over 200 YEARS of experience in the industry. Our men use industry-leading technology to provide you with the most effective solutions to your plumbing needs. We take pride in our work as a 4th generation plumbing company, and strive to provide excellence to our customers. Metro-Rooter is a plumbing company that has been proudly serving the greater Jacksonville area now for over 34 years! 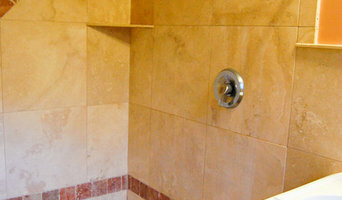 We have become one of the largest most complete plumbing shops in the city. Metro-Rooter is a plumbing company that has been proudly serving the greater Jacksonville area now for over 34 years! We have become one of the largest most complete plumbing shops in the city, providing plumbing repair services for commercial, residential and industrial entities. Our plumbing services include: back flow, drain field and grease trap installation and repair; all lift station operations including installation & repair; pipeline video inspection, pipe jetting; septic tanks. At Dependable Plumbing & Drain Cleaning, your local Jacksonville plumber, we pride ourselves on providing the utmost in customer care and quality service. We are fully insured and bonded. Our Jacksonville Plumber services for homes and businesses consists of Plumbing Repairs, Drain Cleaning, Leak Detection, Water Heater Services, Drainfield & Septic, Video Inspection, Irrigation, Repipes, Sewer Repair & Replacement, Kitchen Remodeling, Bathroom Remodeling, and Commercial Plumbing. Advantage Plumbing is a family owned business and is committed to providing excellent service and quality work for our customers. 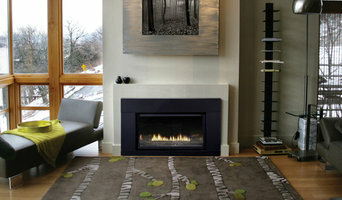 We have been serving satisfied return customers for the past 10 years and customer satisfaction is our primary focus. We are constantly trying to improve our customer service and offer a satisfaction guarantee. We provide professional plumbing services and factory-authorized repairs to the highest industry standards and our staff is fully trained and qualified to deal with various plumbing and appliance hookup. Certified Plumbing Contractor , Certified Building Contractor...Steven's Plumbing is located in Ponte Vedra Beach, FL and we have been in business for over 25 years. David Gray Plumbing, Inc. has been in business for over 25 years and has grown to be one of the largest, most respected plumbing companies in the Jacksonville & St. Augustine areas. We now have over forty service crews and likely have a truck in your area. From the smallest toilet repair or sink repair, to the most complicated re-piping or bathroom remodel, there is no plumbing job that we can't handle. No matter how complicated or off-the-wall the repair may be, we have done it before. Let our size and experience work for you. We are one of the most dependable Jacksonville Plumbers around, and one of the few to have been awarded the Angie's List Super Service Award three years in a row. Don't have a plumbing problem? Check out David Gray Heating & Air for installation and service on heaters and air conditioners, plus indoor air quality testing and improvement services. Plumbers in Jacksonville, FL can do more than just fit sinks and fix toilets; for any water or gas fixture there’s a plumbing company that can repair, install or even design it for your home. In the kitchen, you’ll need local plumbers to hook up your sink, dishwasher and washing machine to the main water supply and the drainage pipes, and they may be able to help with waste disposal units, gas hobs and plumbed-in fridges that dispense ice and water. In the bathroom you should hire Jacksonville, FL plumbers to install your main bathroom fixtures – showers, baths, sinks, toilets and bidets. Plumbing companies and heating engineers can also install towel radiators, shower body jets, bath spas and possibly underfloor heating. Plumbing doesn’t have to stick to the kitchen and bathroom, either. Plumbers can install water taps outside for hoses and sprinkler systems, or you may want outdoor water features, such as a fountain, pond, pool, hot tub or shower; all of which you can talk to Jacksonville, FL local plumbers or plumbing companies about. You may find that you need a plumber to work with a tiler, kitchen designer or architect so that your whole redesign can come together seamlessly. Here are some related professionals and vendors to complement the work of plumbers: Main Contractors, Septic Tanks & Sewage Systems, Kitchen & Bathroom Designers, Kitchen & Bathroom Fitters. Find local plumbers on Houzz. Narrow your search in the Professionals section of the website to Jacksonville, FL plumbers and plumbing companies. You may also look through photos of Jacksonville, FL projects to find a plumber who has worked on a project similar to yours.